ANNAPOLIS — Jan. 15, 2019. The Severn River Association (SRA) and the Back Creek Conservancy (BCC) are pleased to announce today the consolidation of the two watershed organizations. As of Jan. 1, 2019, the two groups have combined resources and expertise to work as a single, unified advocate for the Severn River and to marshal their energies to protect and restore the Severn River to make it and its 39 creeks and coves fishable and swimmable for future generations. BCC’s former Chairman, David Barker, has joined the SRA Board of Directors. The Back Creek Conservancy’s restoration and outreach programs will continue as SRA’s Back Creek Conservancy committee, which will be a model going forward to create creek-specific watershed assessment strategies. This ‘creeks-first’ strategy is critical because SRA’s quality monitoring program reveals that the Severn’s most vexing pollutant problems occur inside its creeks. By combining resources, the SRA-BCC consolidation will greatly expand their water quality monitoring efforts on the river in 2019. Specifically, the new SRA will double the number of monitoring stations visited each week, and they will initiate the first-ever oyster reef monitoring regime to keep a close watch on oyster restoration efforts between the Rt. 50 and USNA bridges. BCC’s David Barker agreed with Rockenbauch’s arithmetic. 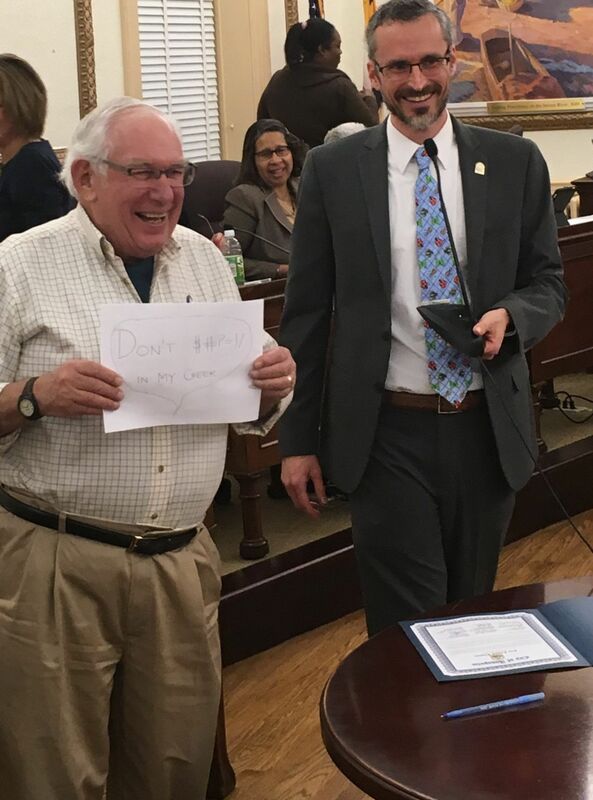 That’s David pictured at right receiving a citation for his environmental leadership while running BCC from Annapolis Alderman Rob Savidge. – advocate for a county-wide Clean Boating Initiative to educate boaters on pump out opportunities. 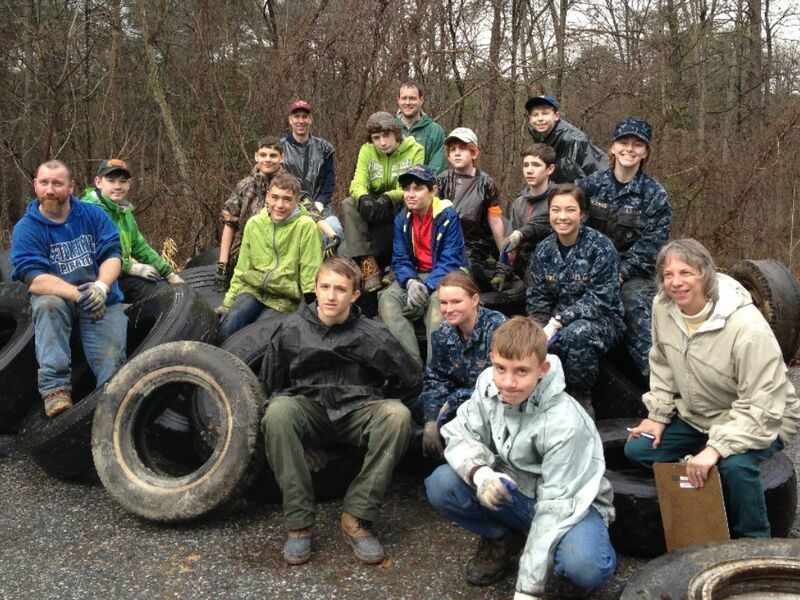 For more information, visit SRA’s website at severnriver.org.